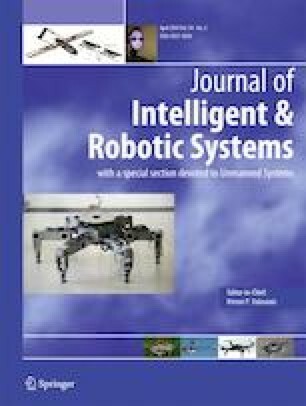 A control method with a multi-time-scale structure is proposed to perform finite time motion control of the quadrotor unmanned aerial vehicles (UAVs) with uncertainties. In order to facilitate the controller-design, finite time extended state observer (ESO) in the first and second time scales is applied to estimate the system uncertainties; the attitude controllers and the height controller are designed for finite time stabilization of the equilibriums in the third time scale; and finally, the output feedback technique is utilized to design the horizontal auxiliary controllers, meanwhile the reference angles are settled for the attitude dynamics in the fourth and slowest time scale. It allows us to analyze the system dynamics in each time scale independently, and conclusions on finite time stabilization are achieved gradually with a large region of attraction. Simulation and experimental results on the Qball2 platform are given to verify the efficacy of the strategy and establish the feasibility of implementation. This work is supported by NSFC under grant 61473248 and Natural Science Foundation of Hebei Province under grant F2016203496.